Healthcare organizations looking to become more cost-effective and efficient are starting to think about the state of their physician scheduling practices, including the adoption of physician scheduling software. Physicians who choose to implement this technology experience major benefits for their organizations, including increased ROI and a smaller margin of error. Whether healthcare organizations adopt state-of-the-art scheduling software or stick to legacy practices, there are nuances and pain points for healthcare organizations that create ripple effects, impacting ROI, employee satisfaction, and beyond. 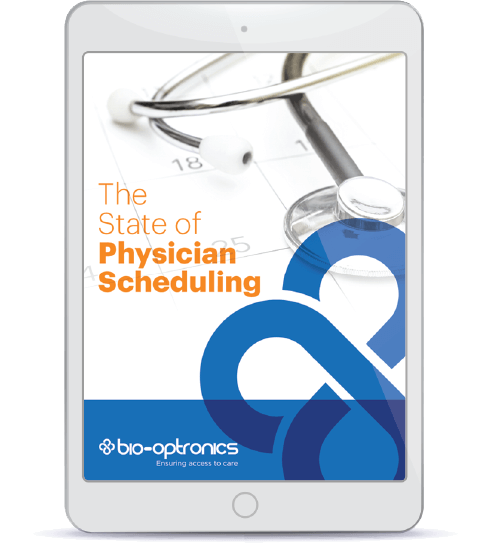 To get a closer look at the state of physician scheduling, Bio-Optronics surveyed 150 physicians about the scheduling at their organizations. These medical teams, offices, and organizations provided key insights, pain points and characteristics that paint a larger portrait of how physicians are scheduled across the United States.